Pete's Western Food is one of the senior stalls amount the rest in the food centre. 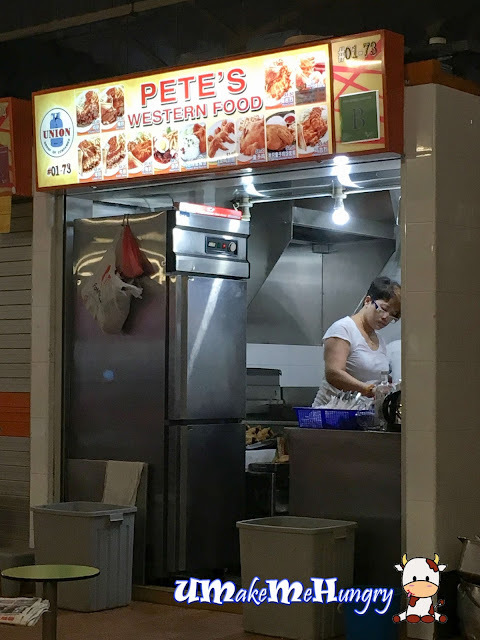 With not many stalls opening during the weekends, I would say the demand for Pete's Western Food is definitely there and visible with consistent stream of customer walking up to make their orders. I have never had Western food on the usual "Nasi Lemak" plate and this had caught my attention. 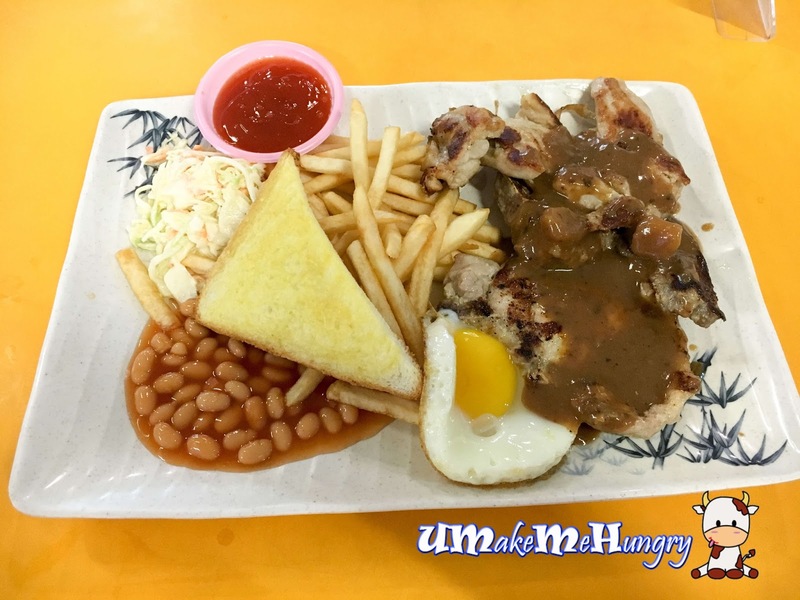 Chicken chop is fairly good and if you were to go back into the 90s, such spread of food is a common sight of how hawkers prepared the western food. Chicken is tender married well with the peppery mushroom sauce. While the mixed grill is an upgraded version of chicken chop. It consists of lamb, chicken and beef with sides like a toast, sunny side up egg, baked beans, fries and coleslaw. Sauce that was covering the meat was generic, sharing the same taste as chicken chop, mushroom and with a peppery kick. Comparing to most western food stall today, Pete's Western Food may not have the trendy "Wow-factors" instead, they still humble keeping to the old school taste that many of us might be missing sooner or later for such comfortable and home-style hawker food may not be there in future as the newer generations might not be taking over.